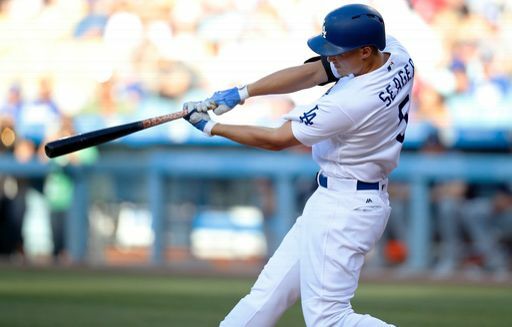 Rich Hill went six innings and change, and Corey Seager and Chris Taylor paced the Dodgers offense with home runs. This allowed the Dodgers to take the first game of the series against the Atlanta Braves 6-2 at Dodger Stadium on Saturday night. Here’s Corey Seager’s 16th home run of the season. It came in the first inning, a full-count offering off of Julio Teheran. It traveled 433 majestic feet. It was the longest home run he’s ever hit at Dodger Stadium. The Dodgers run Clayton Kershaw out on Sunday, so they figure to be getting the split at worst. The Dodgers are an unstoppable rebel force.